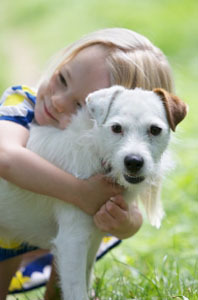 Westlab Pharmacy understands the challenges of caring for unwell pets. These feathered, furry, and scaly family members need special pharmaceutical considerations all their own. Pets come in a wide variety of shapes and sizes. Sometimes pets refuse to swallow pills, and sometimes they cannot be coaxed into taking any form of oral medicine at all. Westlab Pharmacy considers the well-being of pets as a no less serious matter than human health, and has developed many solutions to problems associated with veterinary medications. Highly customized doses and forms of delivery overcome the obstacles you or your pet may encounter. With such an important part of your family under the weather, you and your pet deserve the easiest, most effective, least stressful treatment possible. Westlab Pharmacy can compound medications that have been discontinued or back ordered from commercial manufacturers. For patients who require unusual dosage concentrations, such as very small or very large animals, Westlab Pharmacy can compound treatments that meet their exact medical requirements. Pets who are unable to ingest standard dosage forms can obtain compounded treatments from Westlab Pharmacy in different forms. This also benefits pet owners whose pets are stubborn at medication time. Flavorings can be added to compounded treatments, which helps with pets who reject medication due to its flavor.